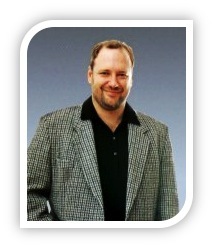 Dr Scott Teske graduated from the University of Queensland, Brisbane, Australia in 1983. After completed his initial three years of ophthalmological training in 1993, he spent his final elective year of training in at the Orange Eye Centre, as the director of ophthalmic plastic surgery. Dr Teske then headed to the University of Cincinnati in Ohio, USA where he completed a formal fellowship in ophthalmic plastic surgery in 1996 under the tutelage of Drs Dwight Kulwin, Robert Kersten and Mark Cepela. Since August 1996, Dr Teske has practiced ophthalmic plastic surgery exclusively in central Brisbane and several locations in south-east Queensland Australia. · Cosmetic surgery of the eyelids and brow. · Treatment of eyelid malposition including ectropion, entropion, ptosis and eyelid retraction. · Rebuilding the eyelids following the removal of skin cancers or trauma. · Management of the vision threatening and cosmetic complications of Graves Disease. · Rehabilitation of the eye affected by facial and / or trigeminal nerve palsy. · Enucleation / Evisceration and rehabilitation of the anophthalmic socket. · Surgery of the lacrimal drainage system in the management of epiphora ( watery eyes ). · Management of inflammatory and neoplastic disorders of the orbit. · Management of orbital trauma including repair of orbital fractures. · Medical and Surgical management of essential blepharospasm. Ophthalmic Plastic Surgery is a Sub-Specialty of the discipline of ophthalmology.